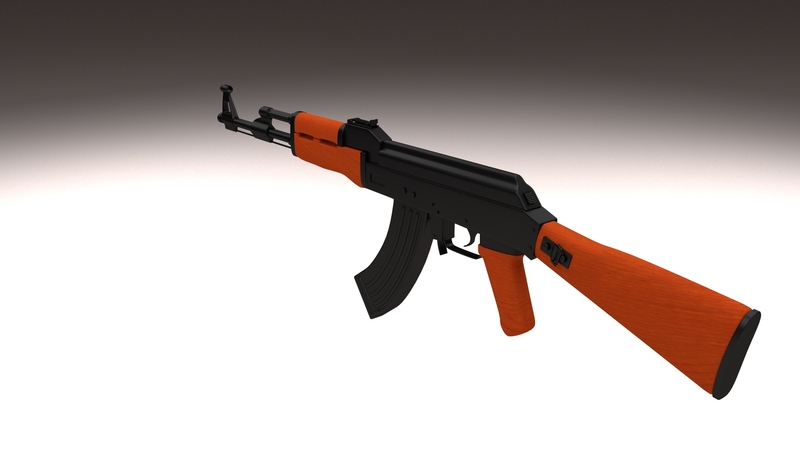 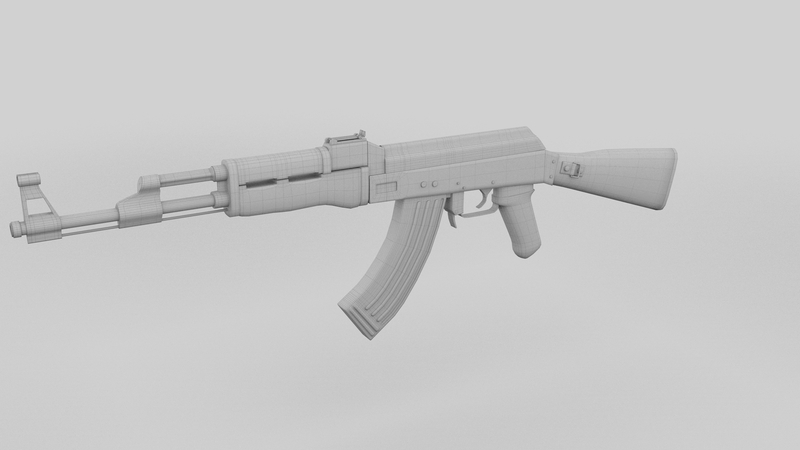 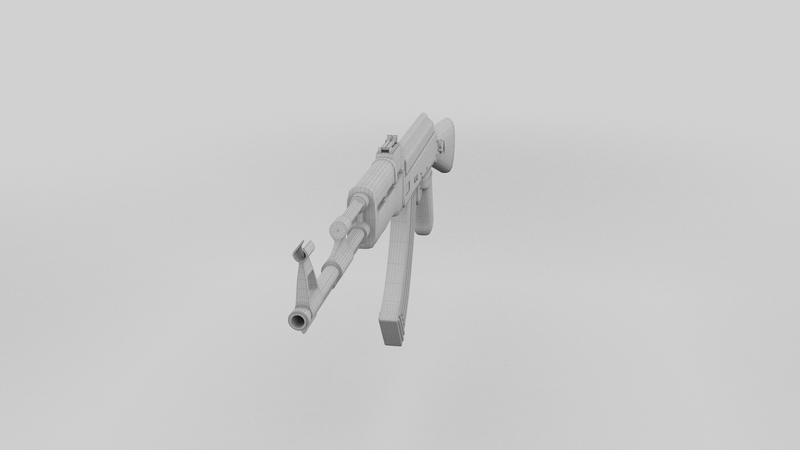 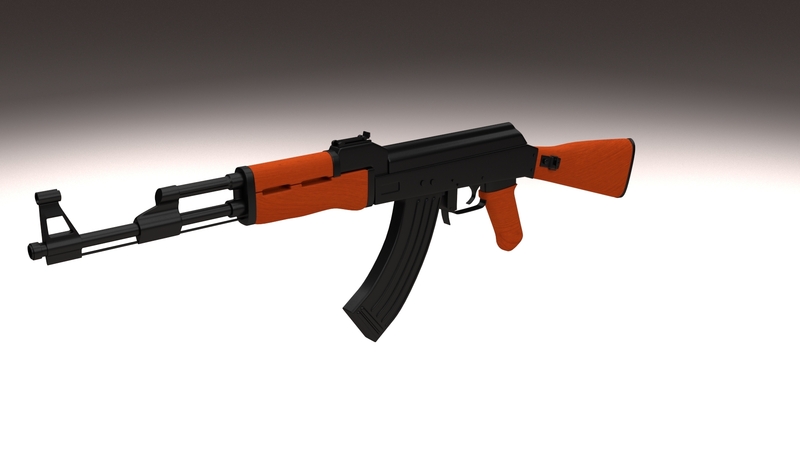 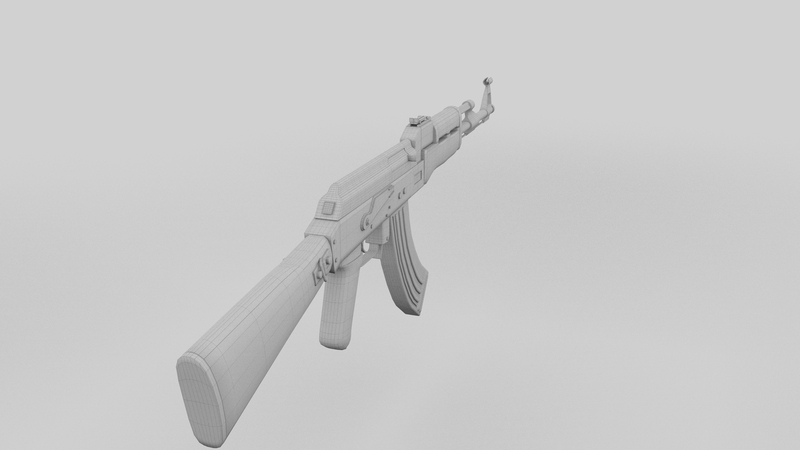 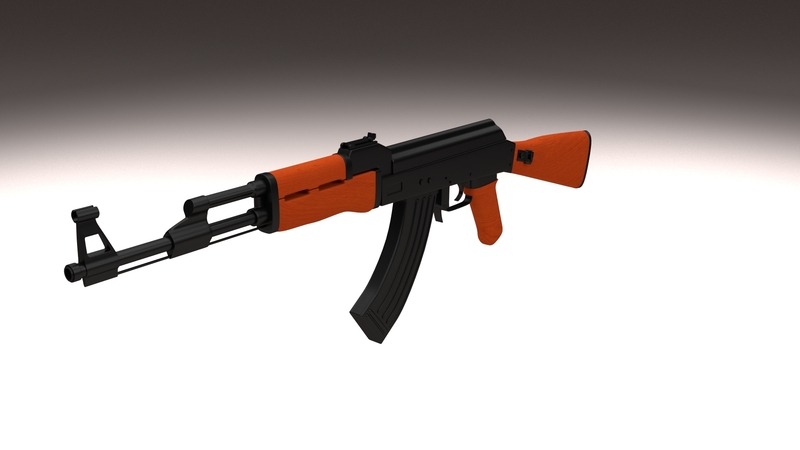 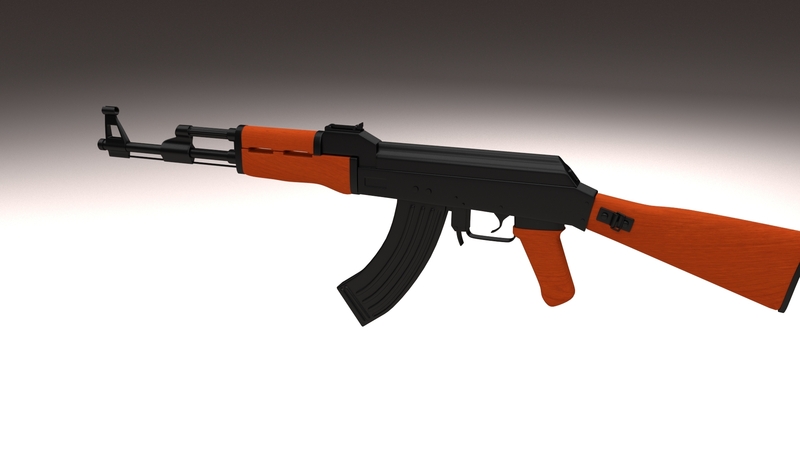 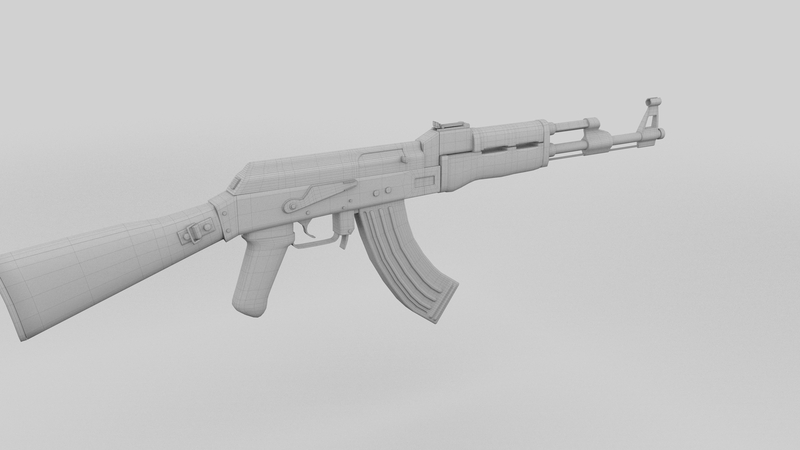 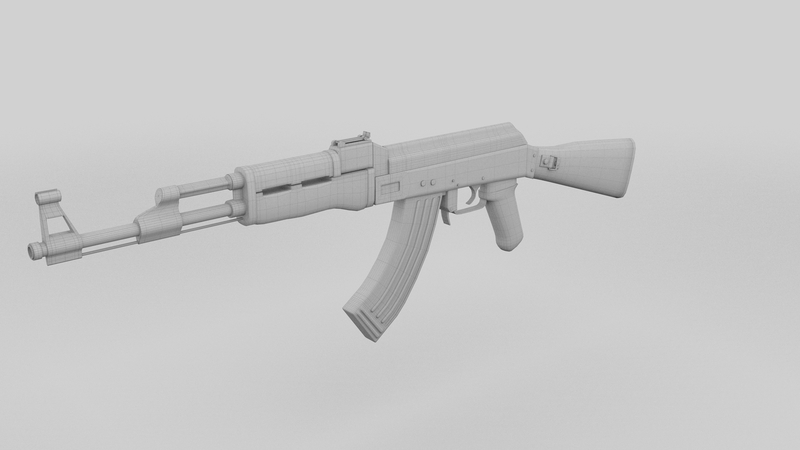 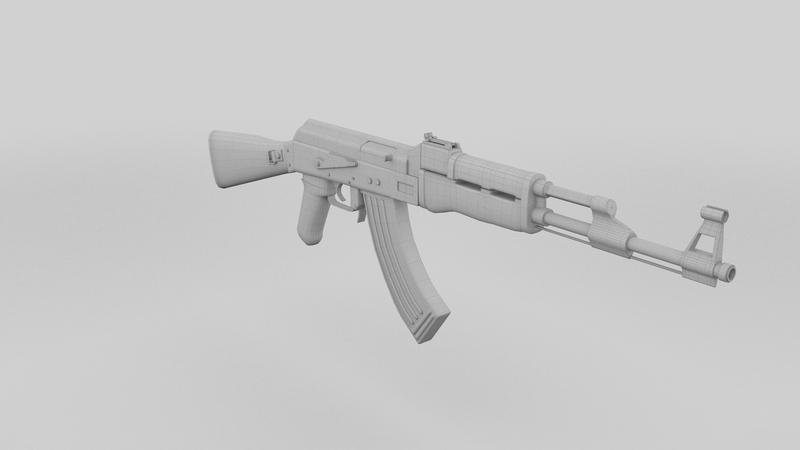 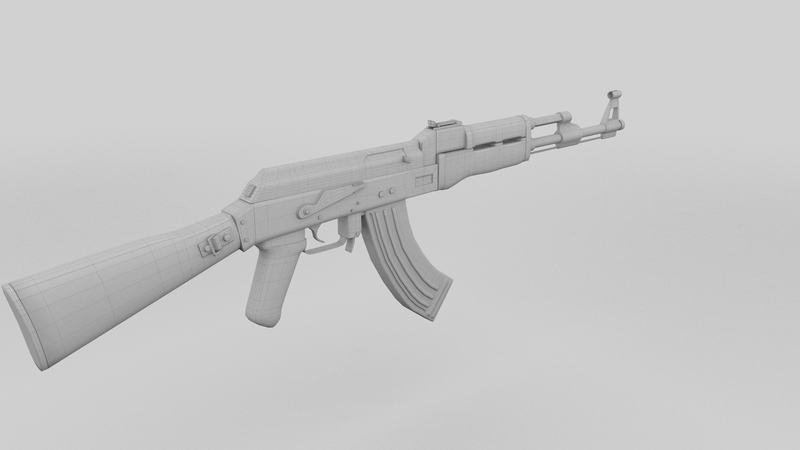 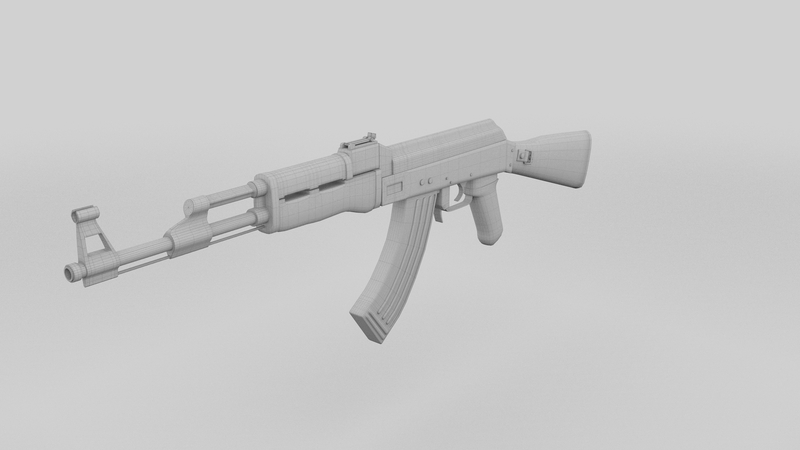 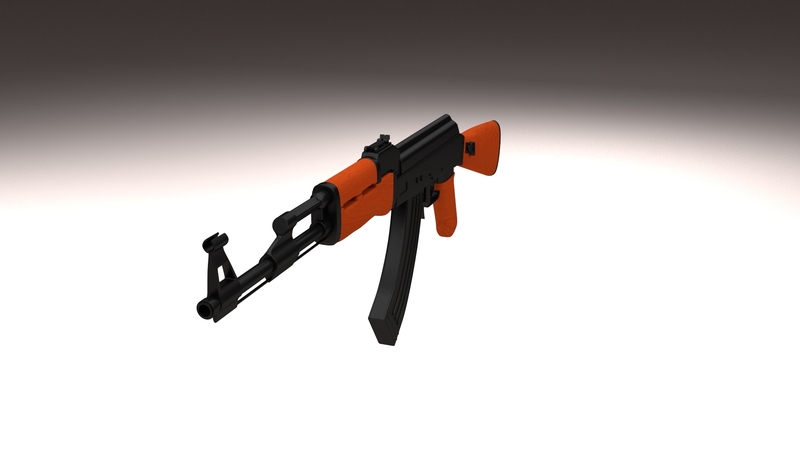 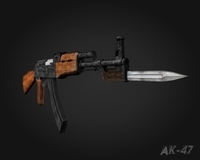 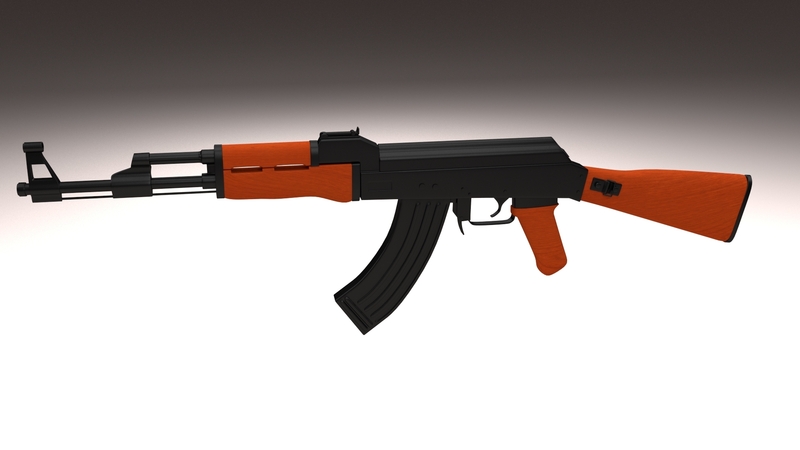 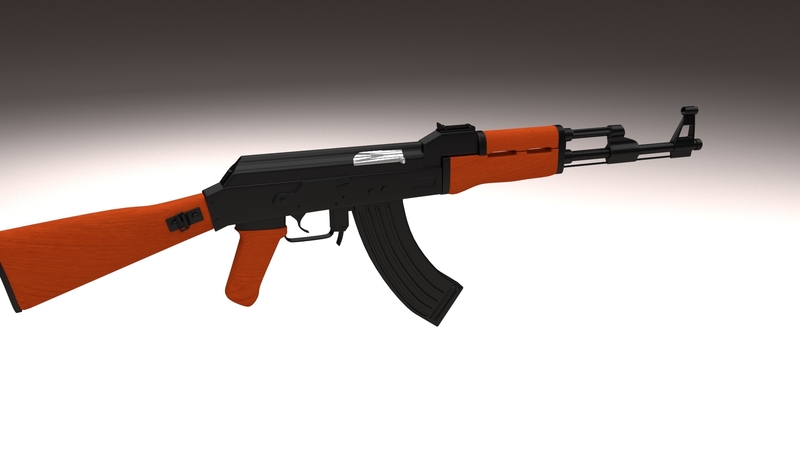 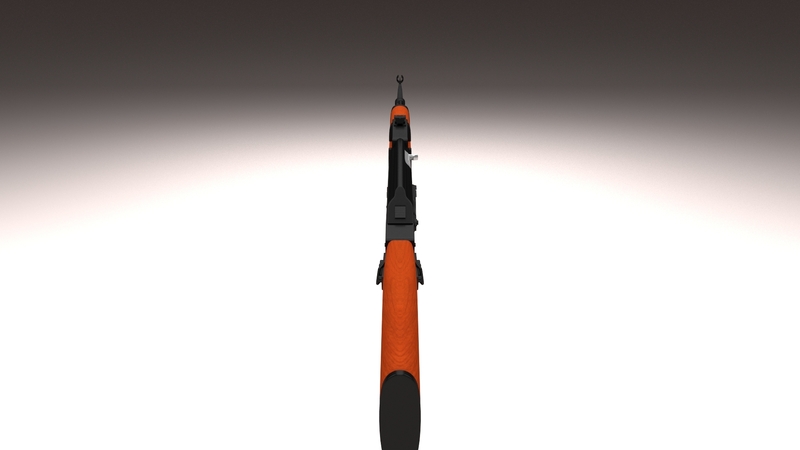 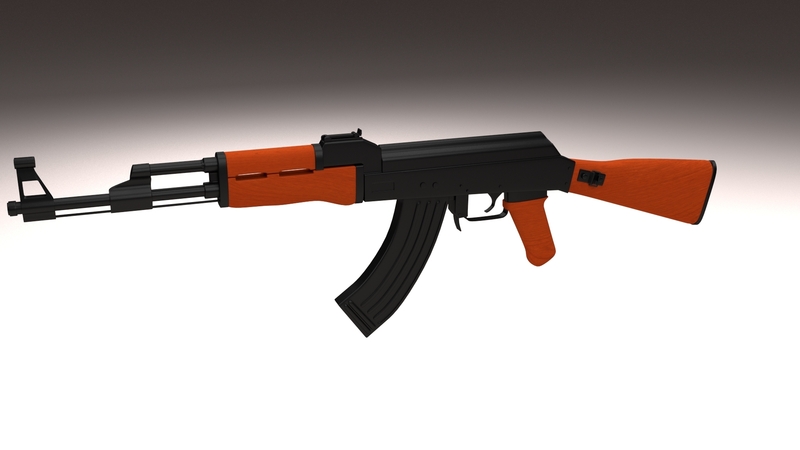 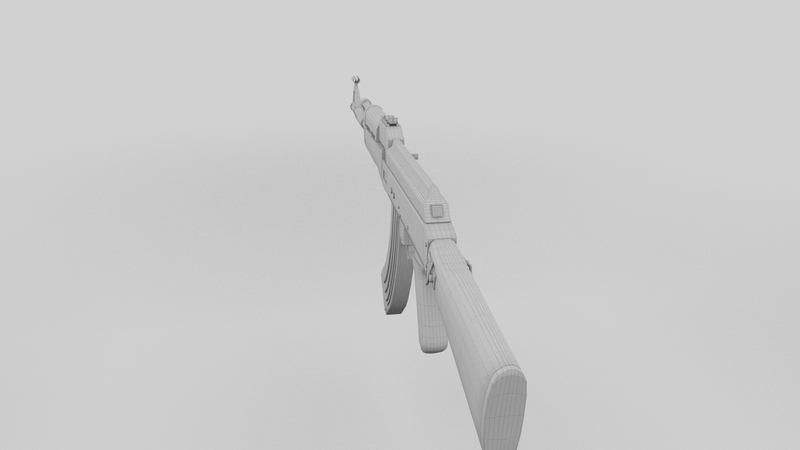 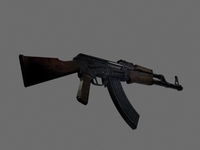 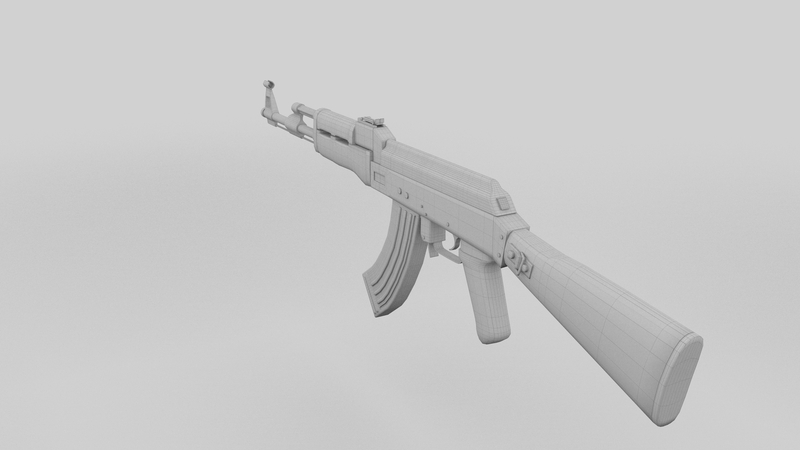 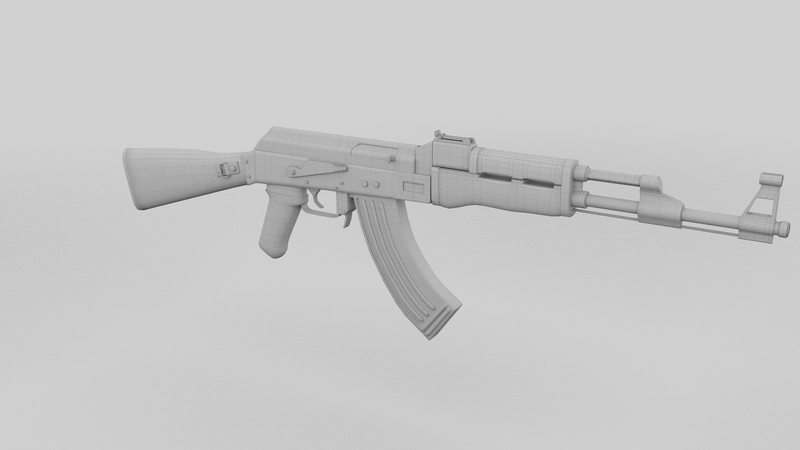 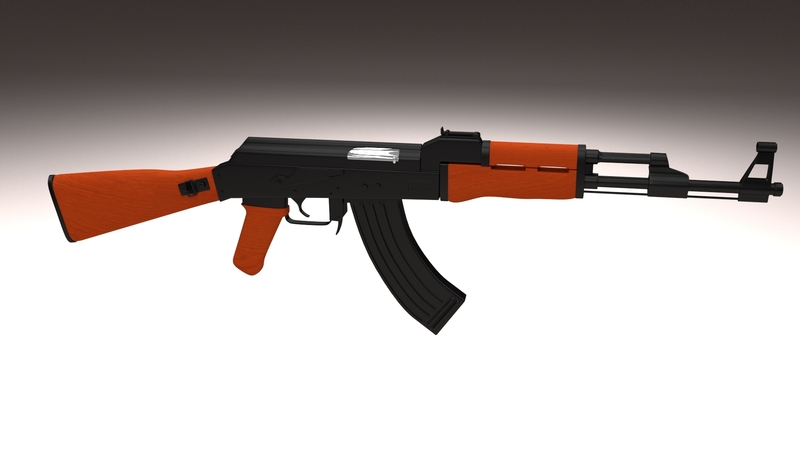 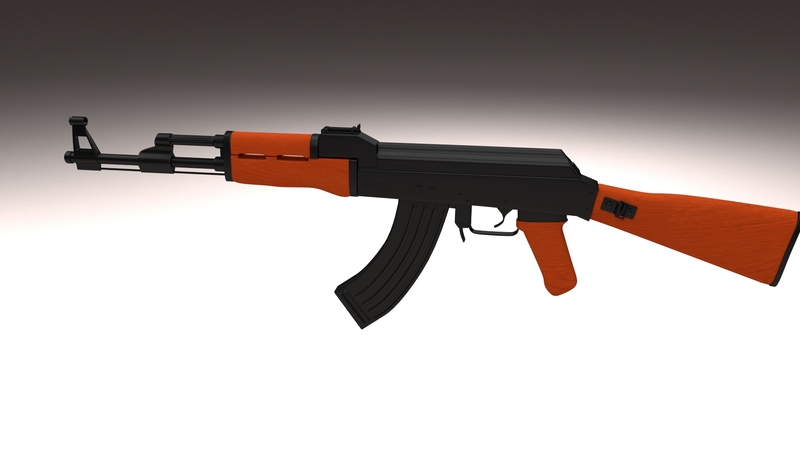 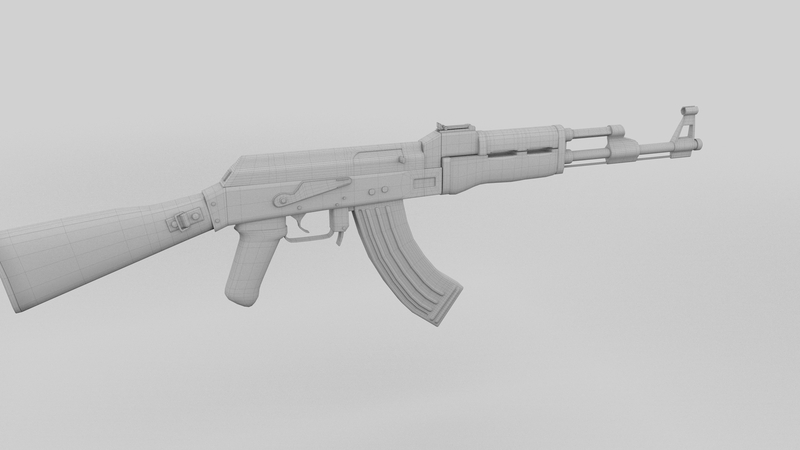 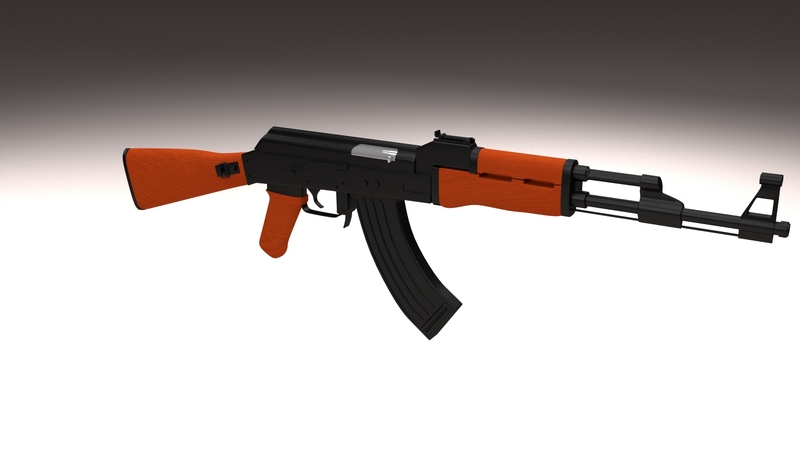 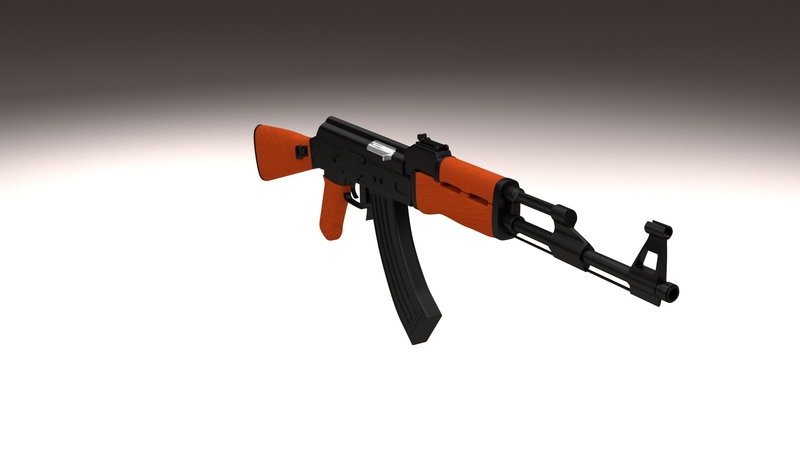 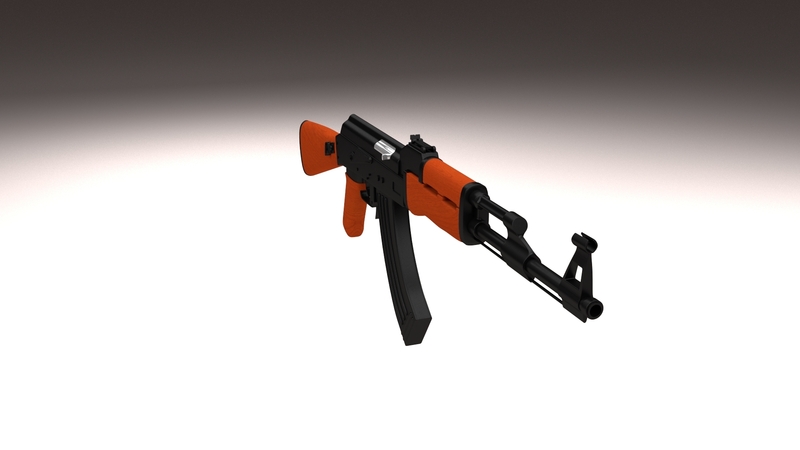 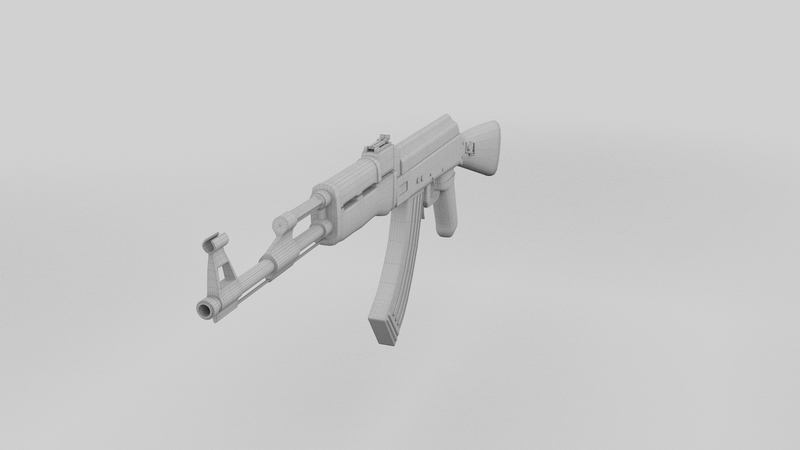 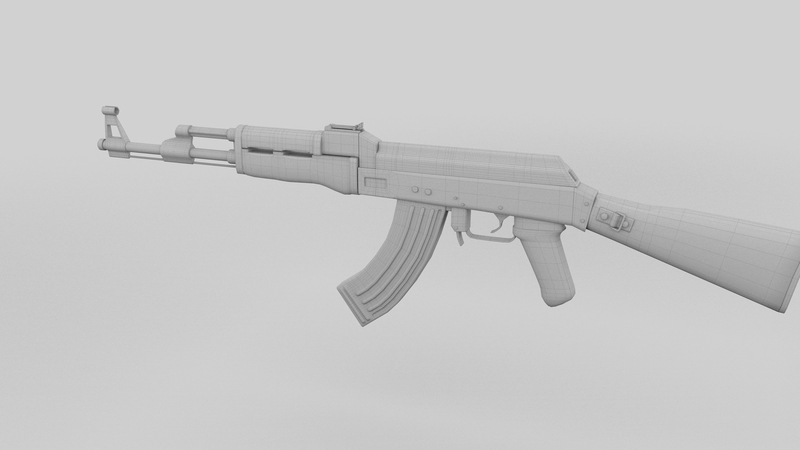 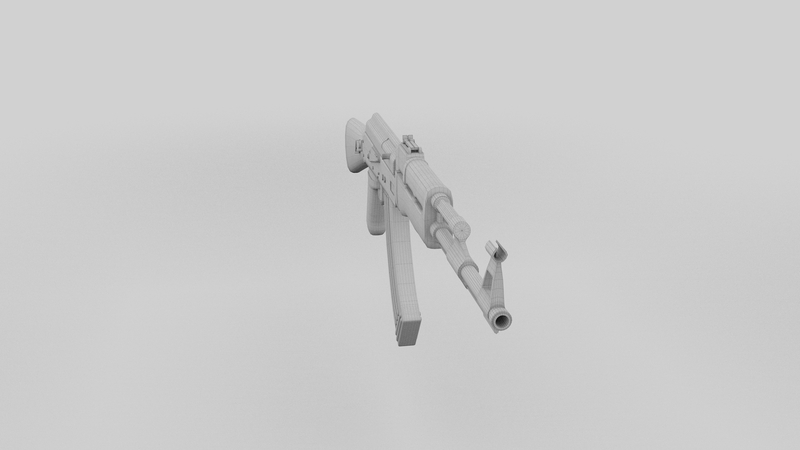 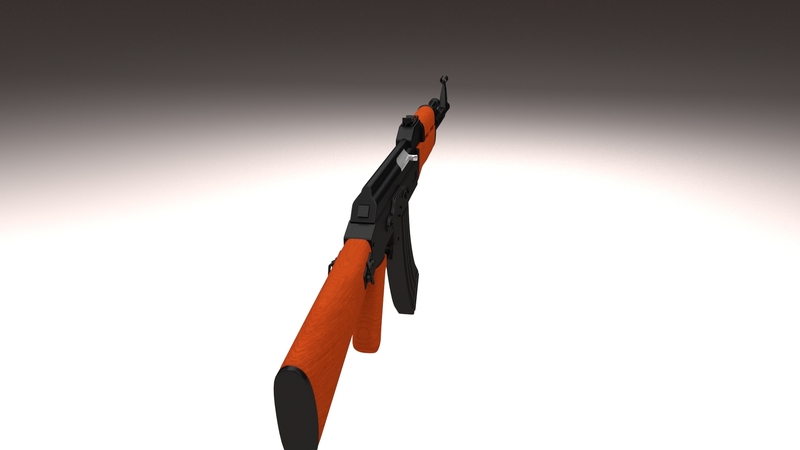 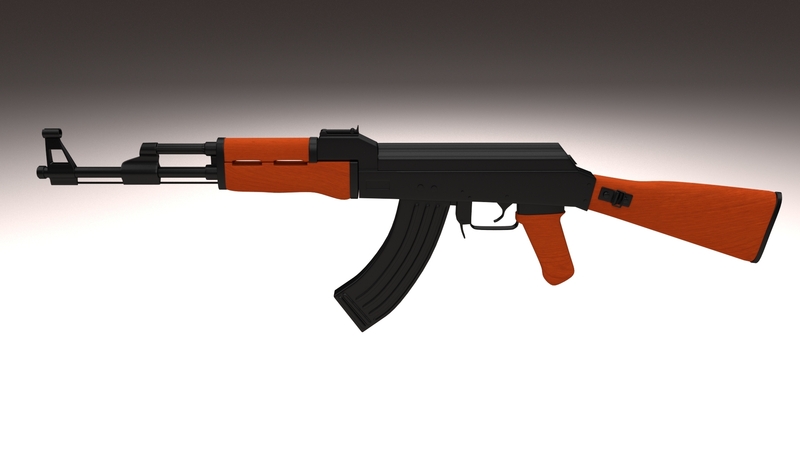 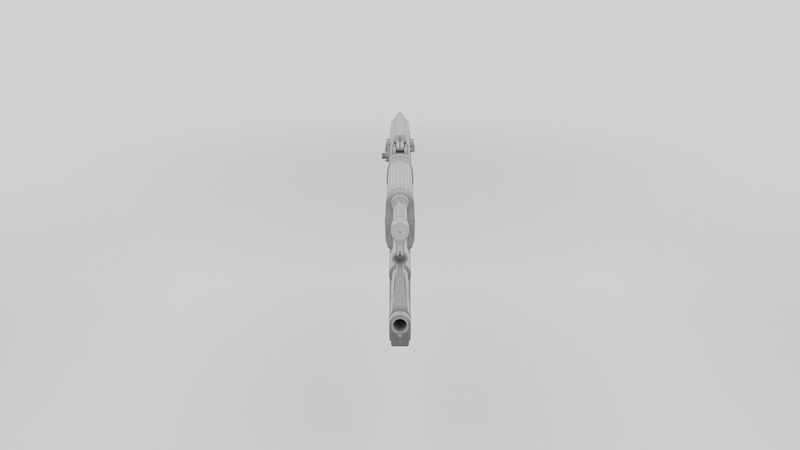 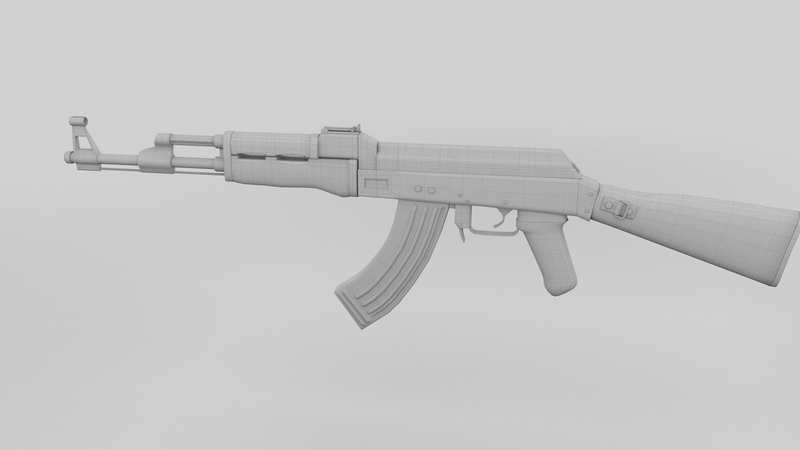 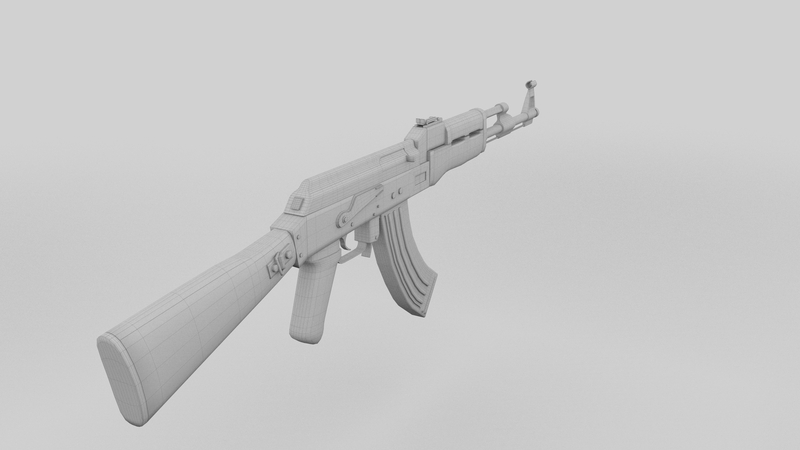 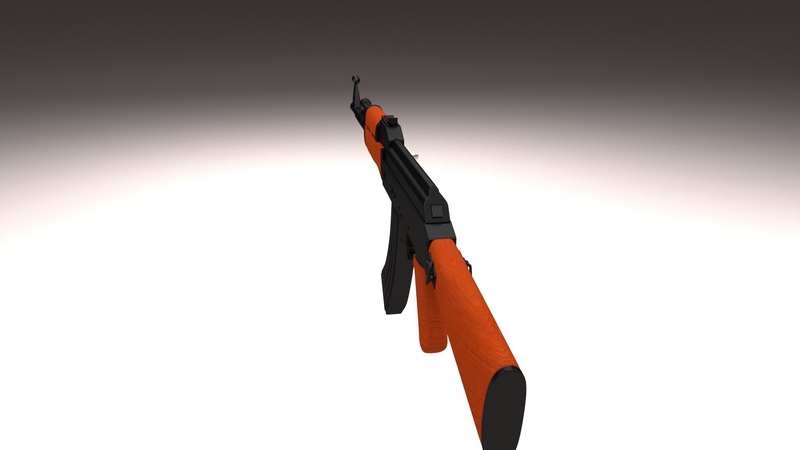 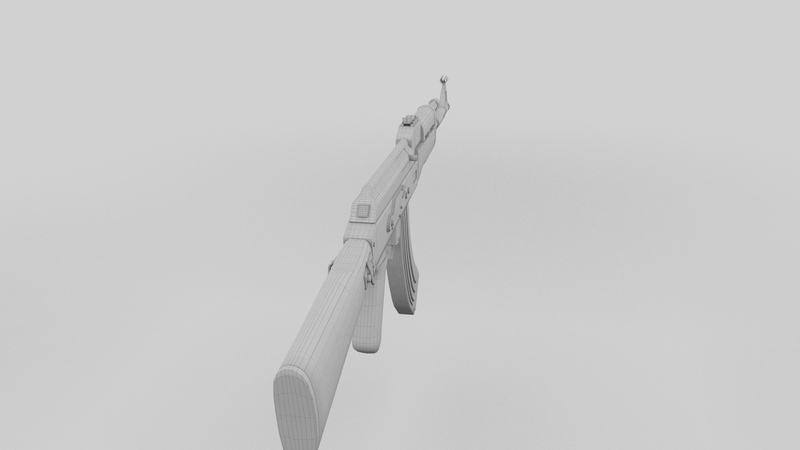 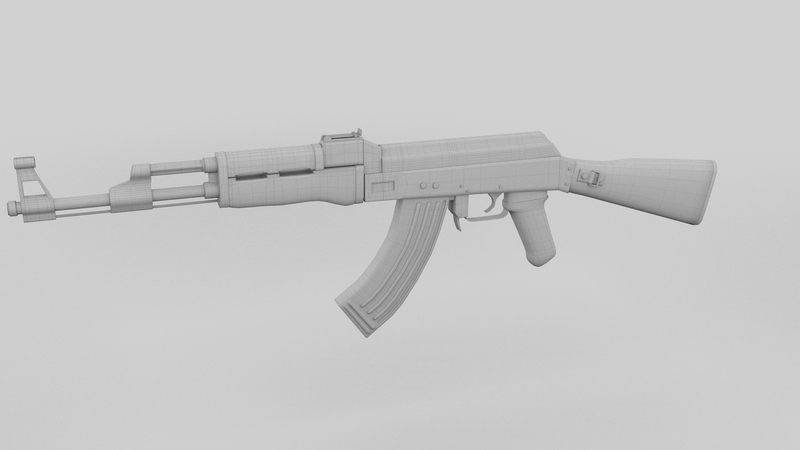 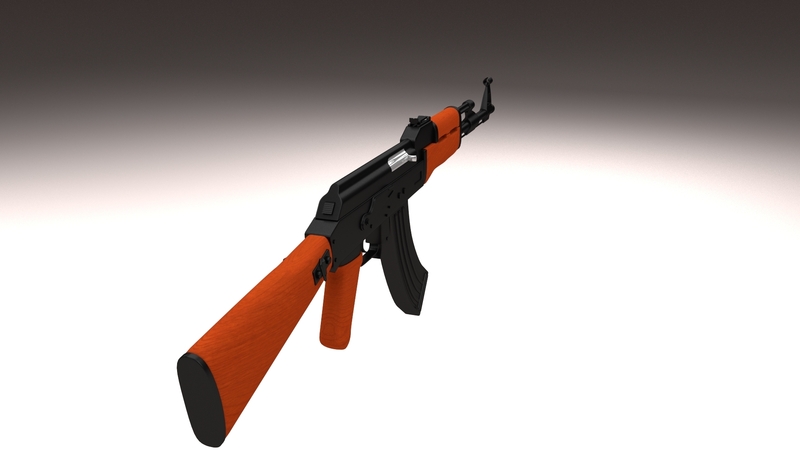 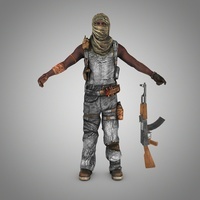 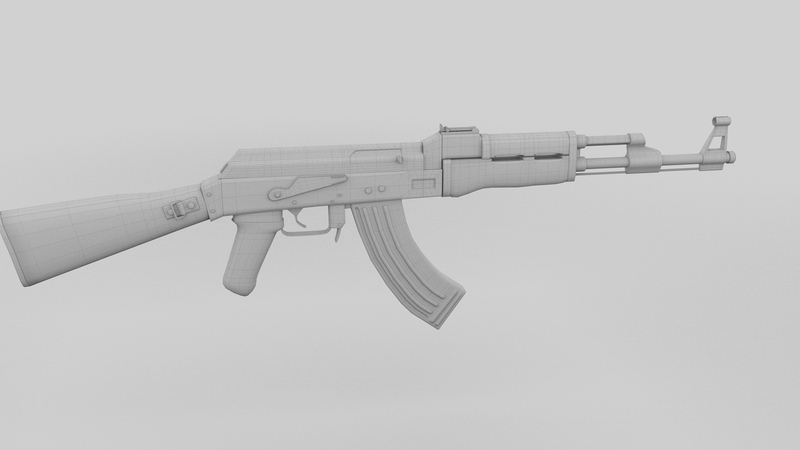 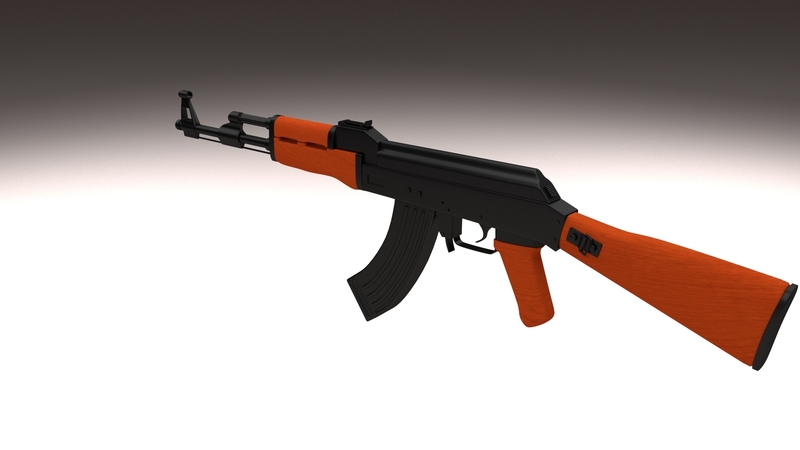 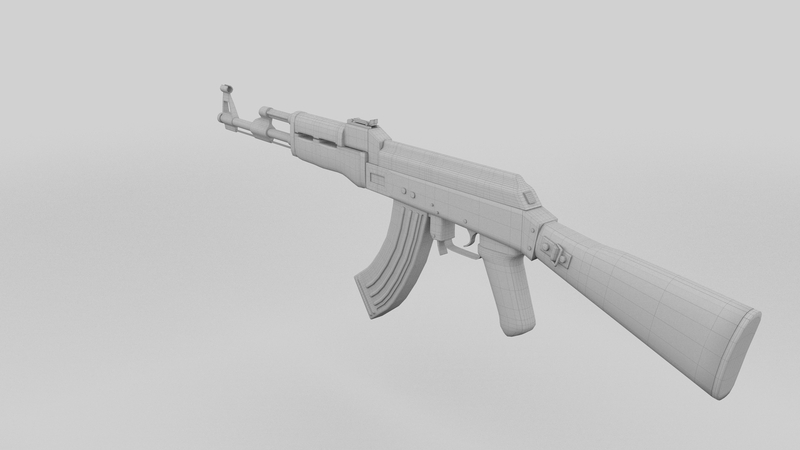 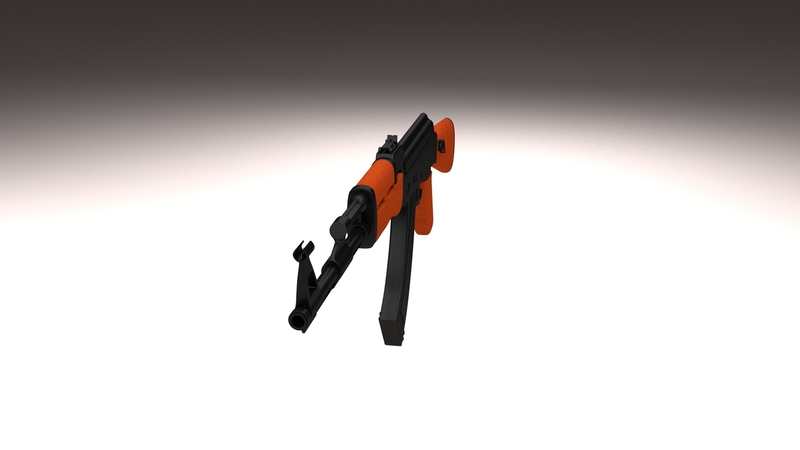 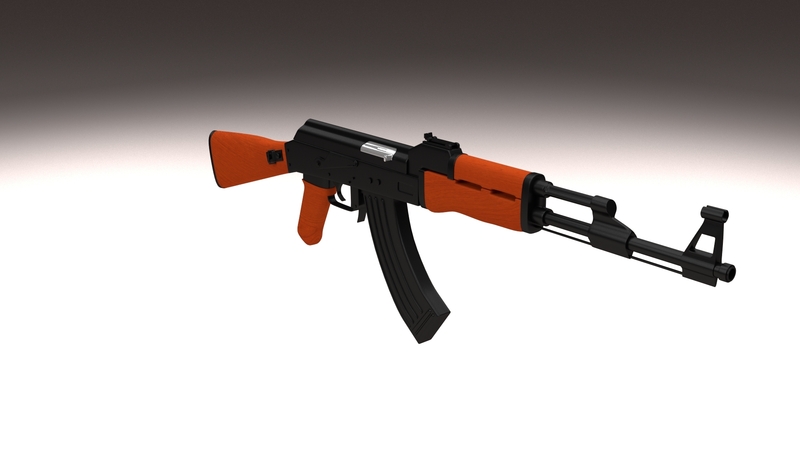 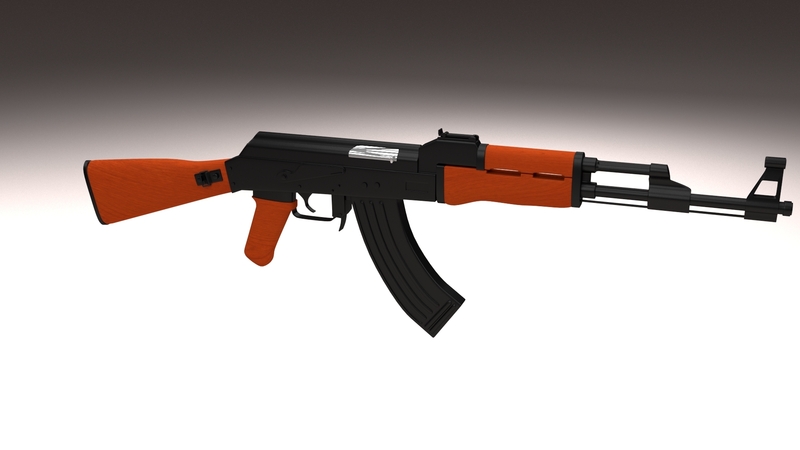 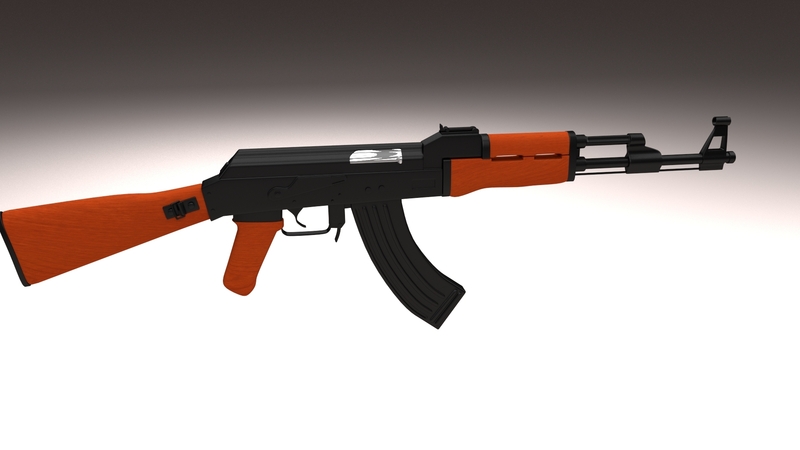 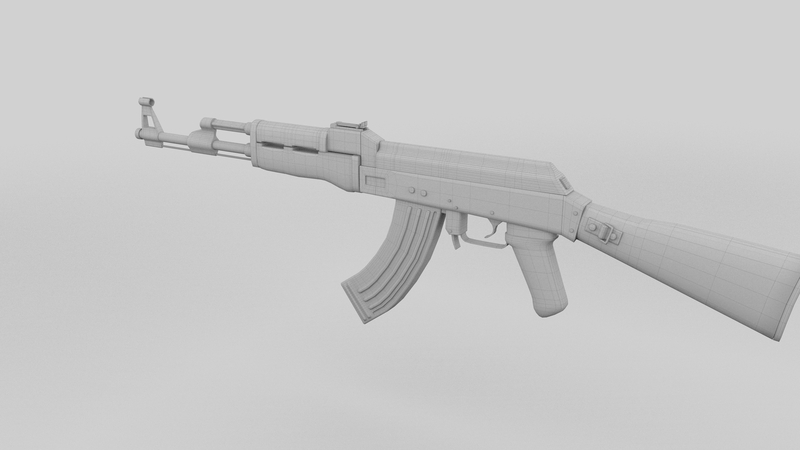 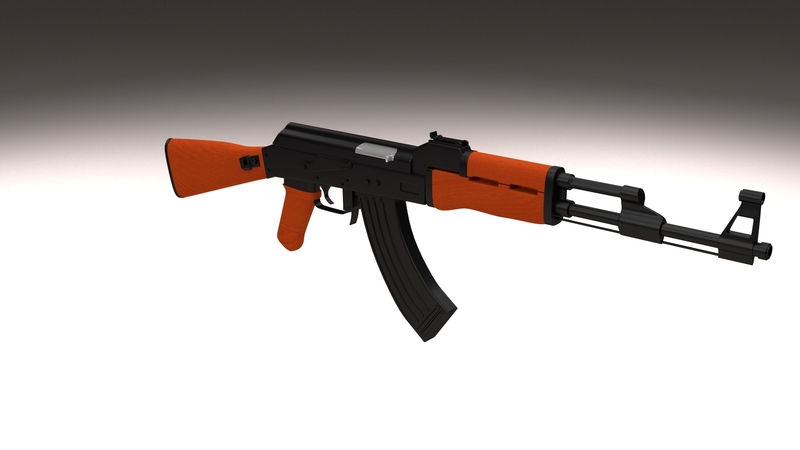 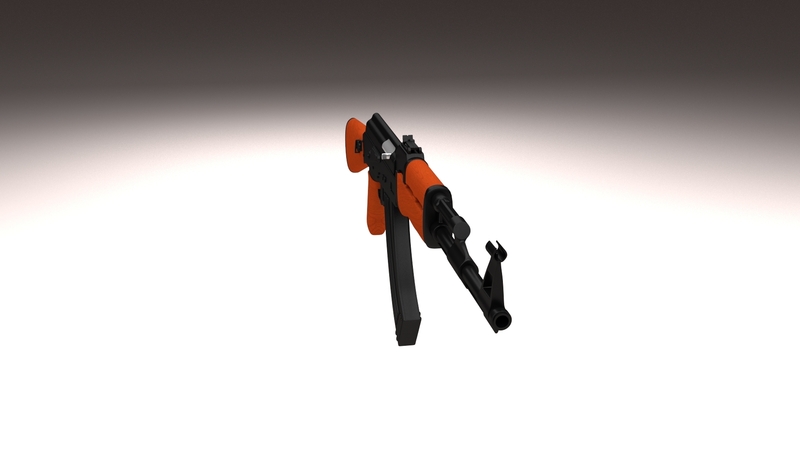 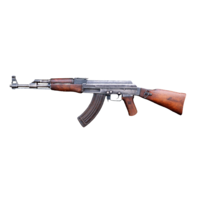 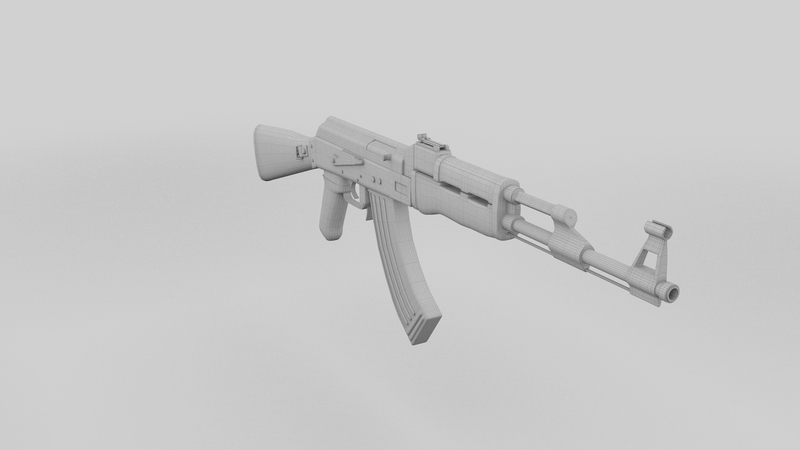 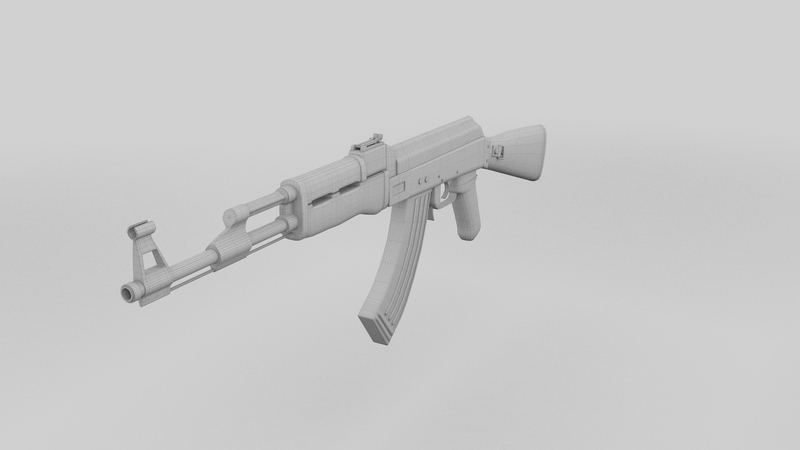 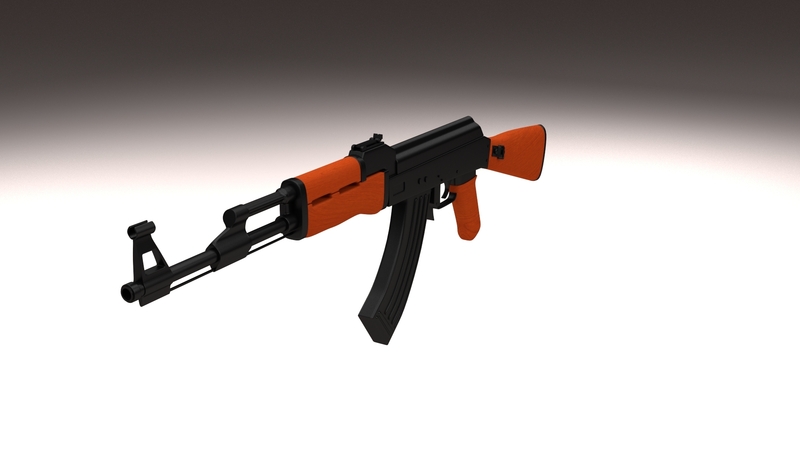 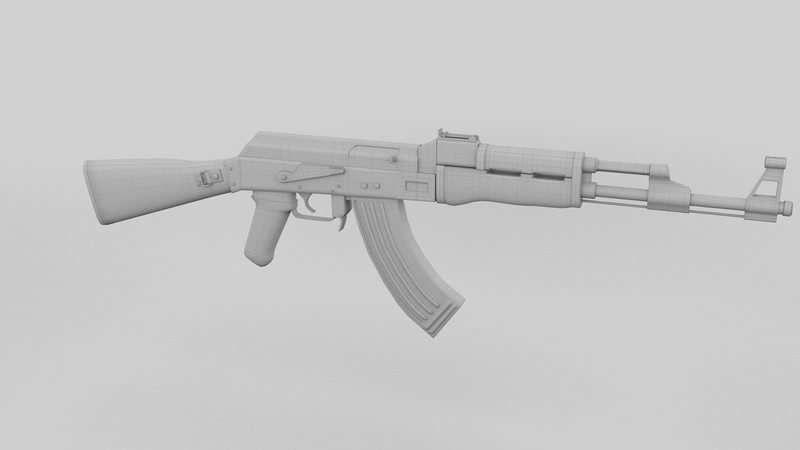 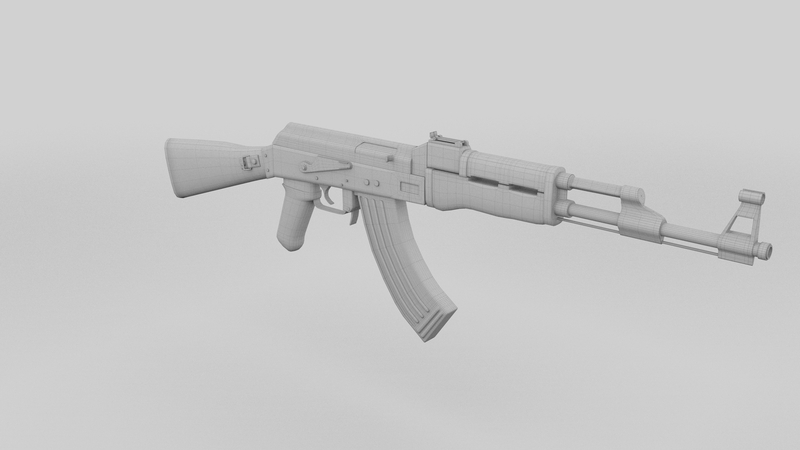 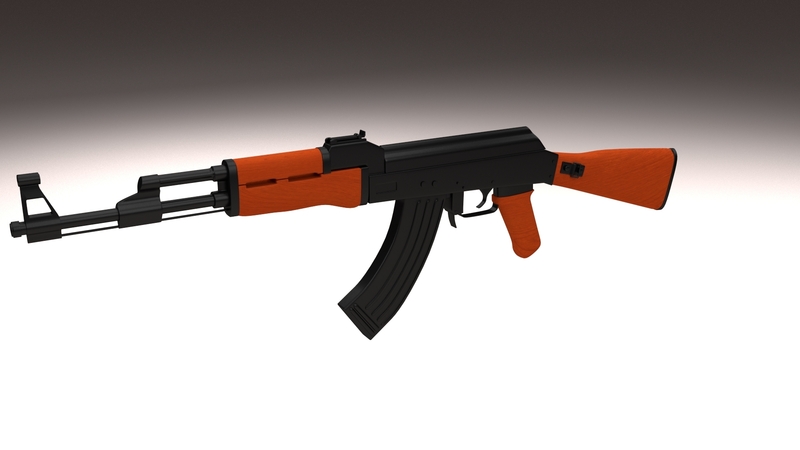 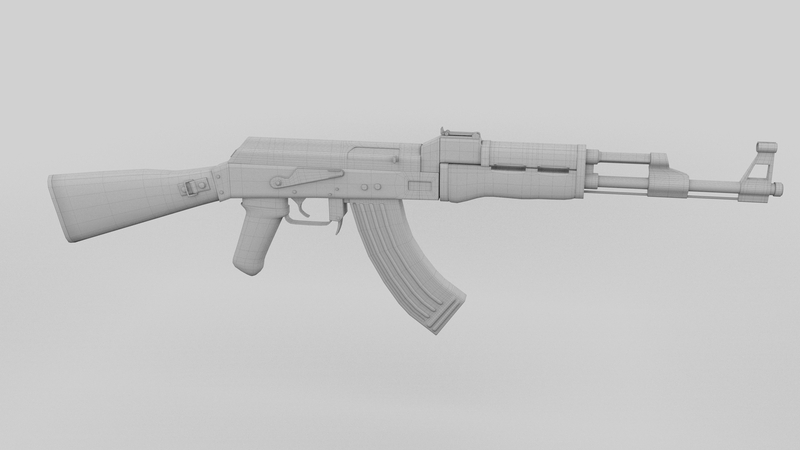 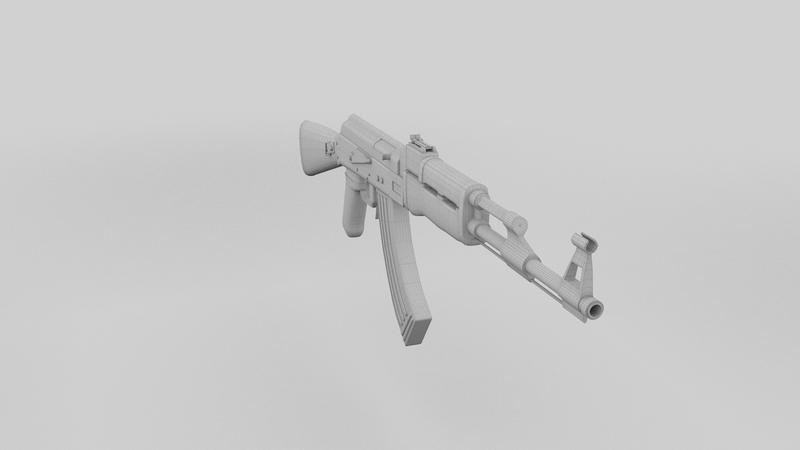 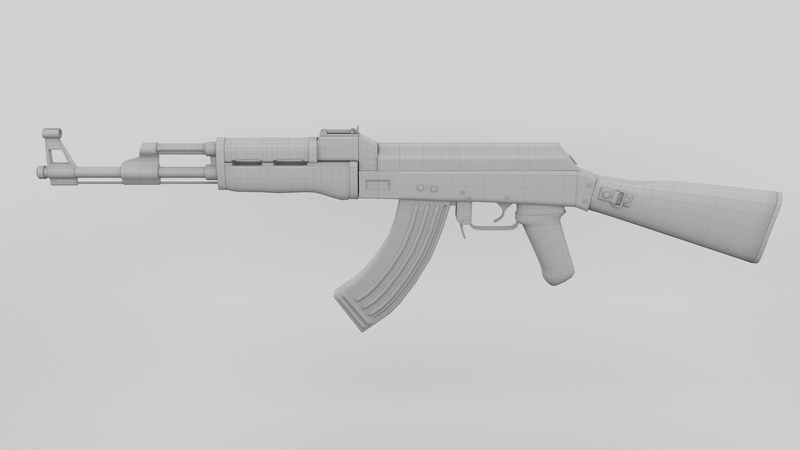 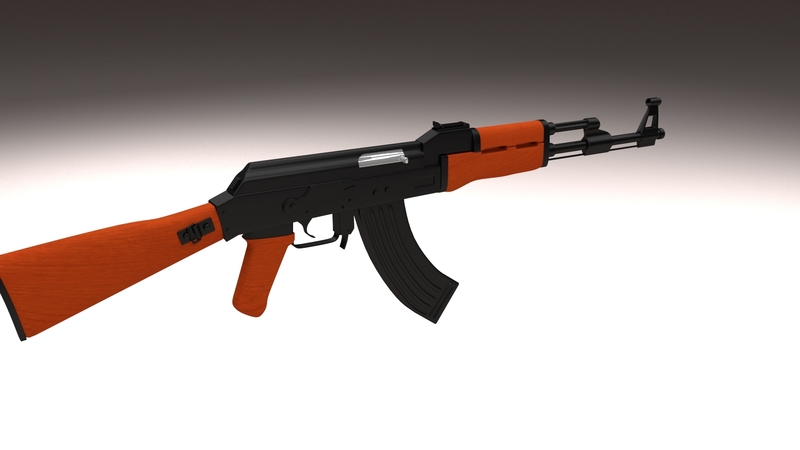 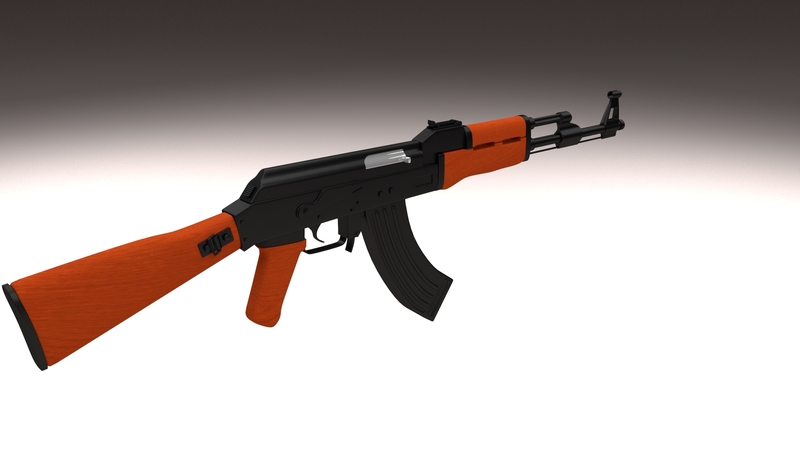 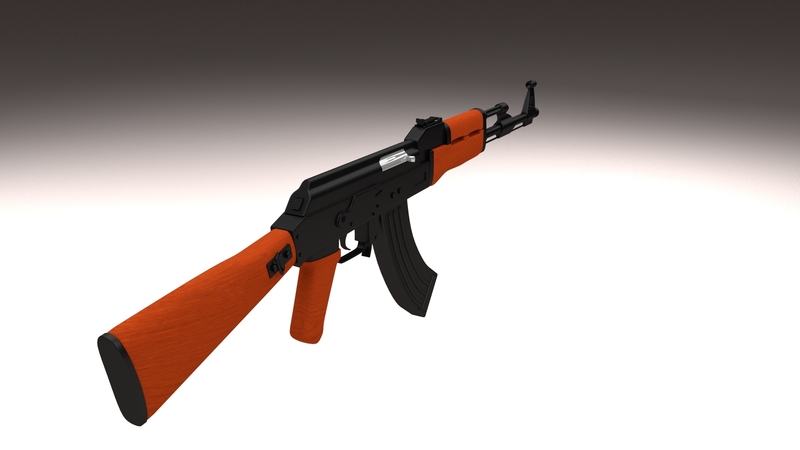 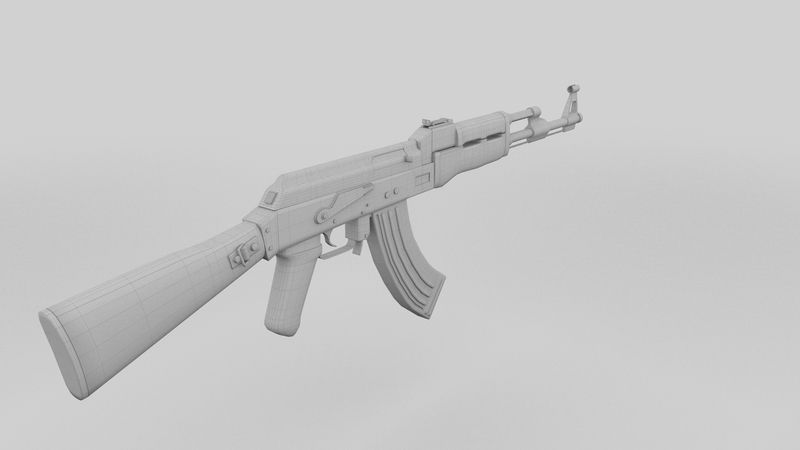 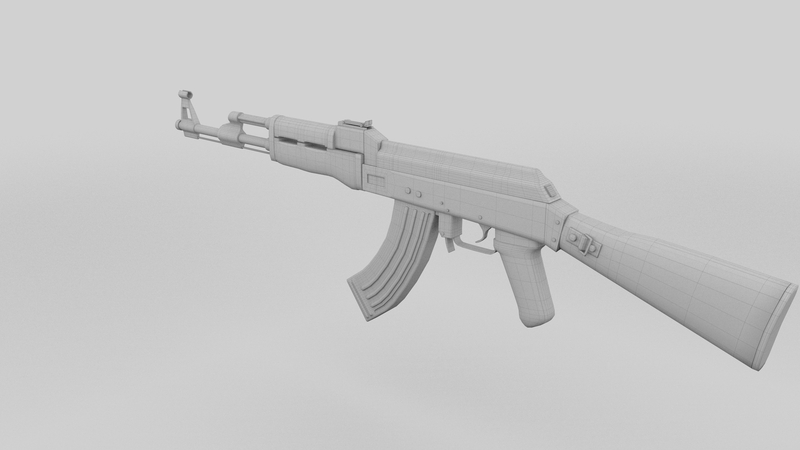 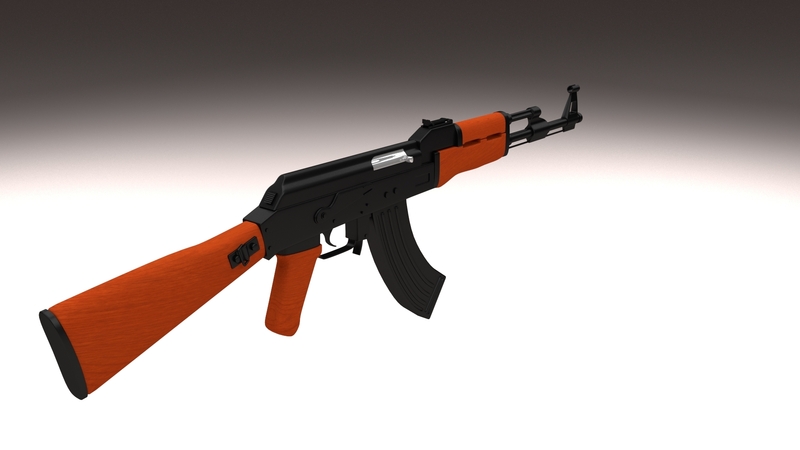 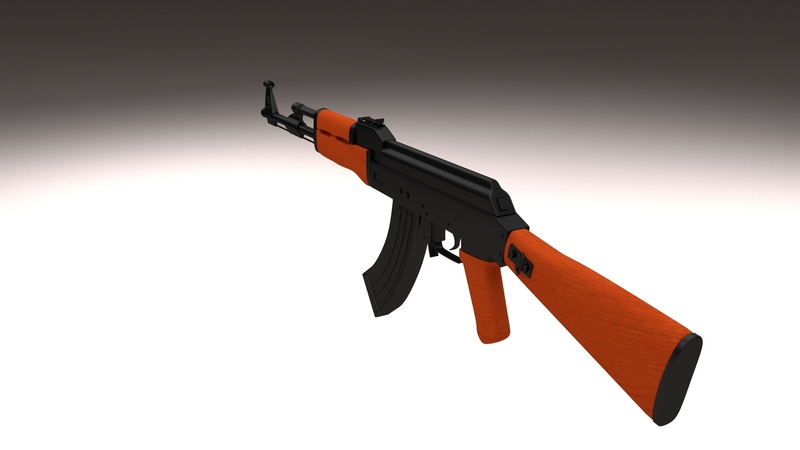 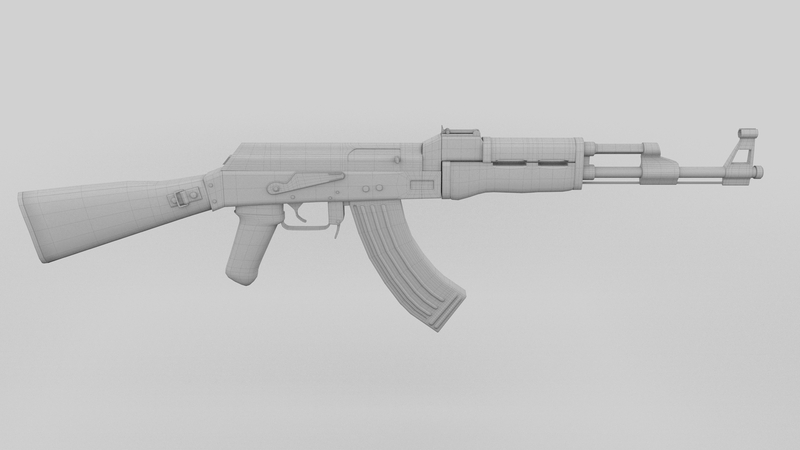 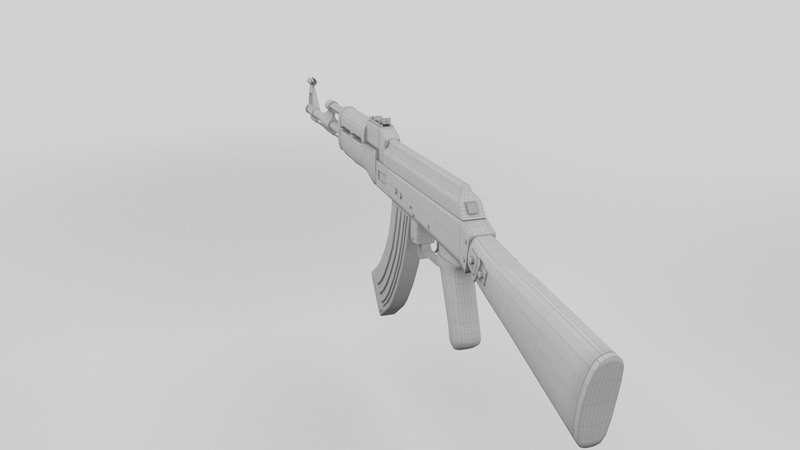 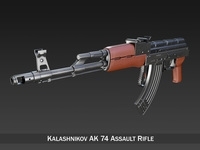 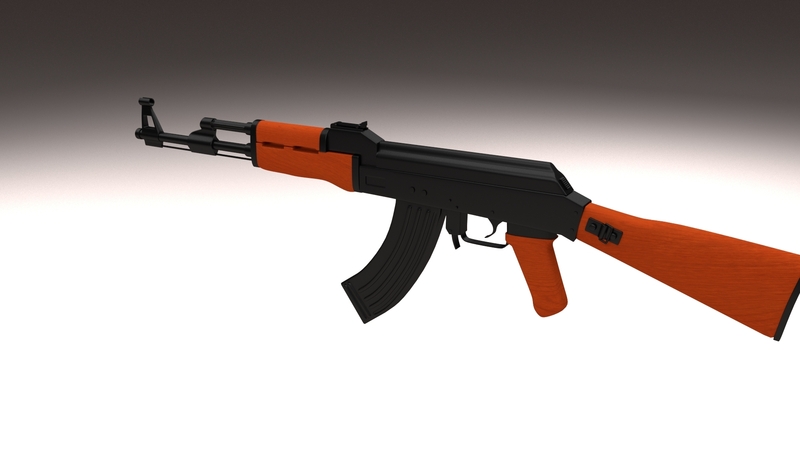 An AK 47 rifle modeled to specs so as to look like the real gun. 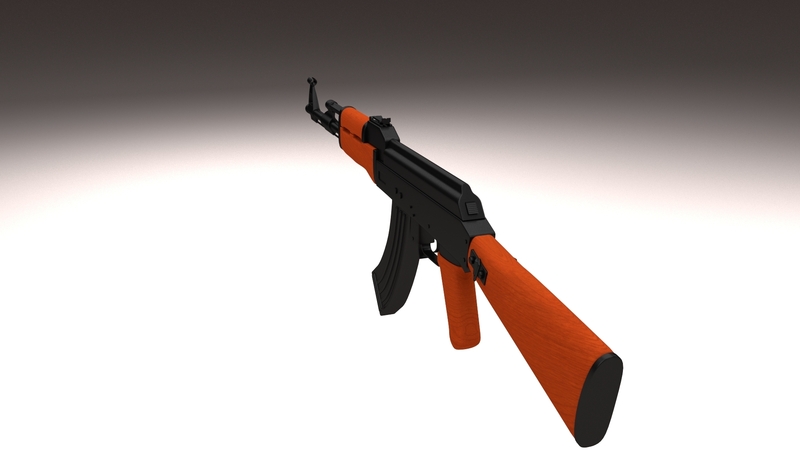 An AK 47 rifle modeled to specs so as to look like the real gun. 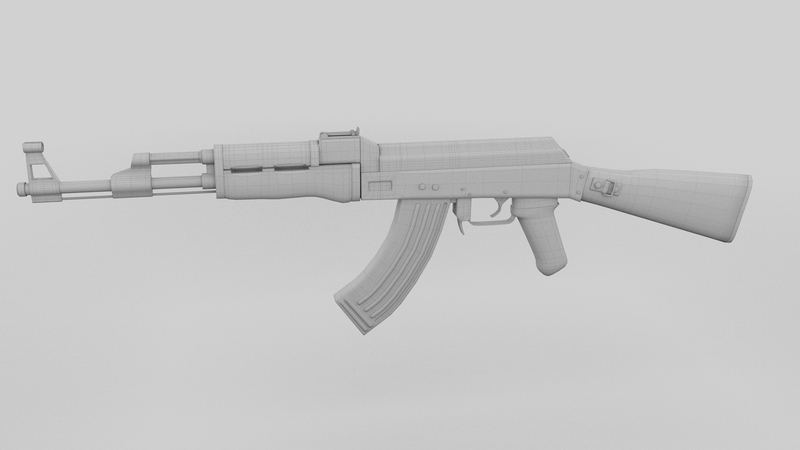 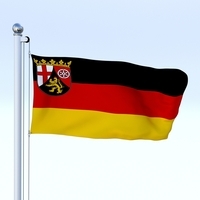 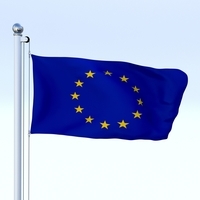 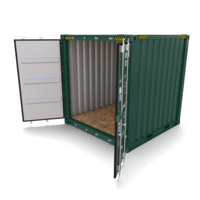 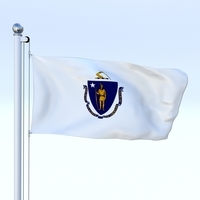 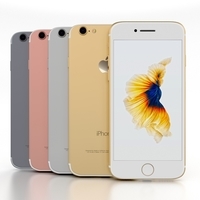 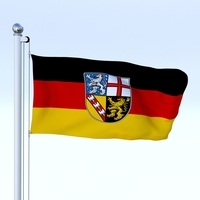 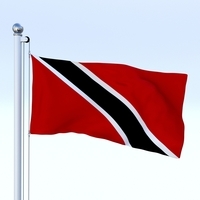 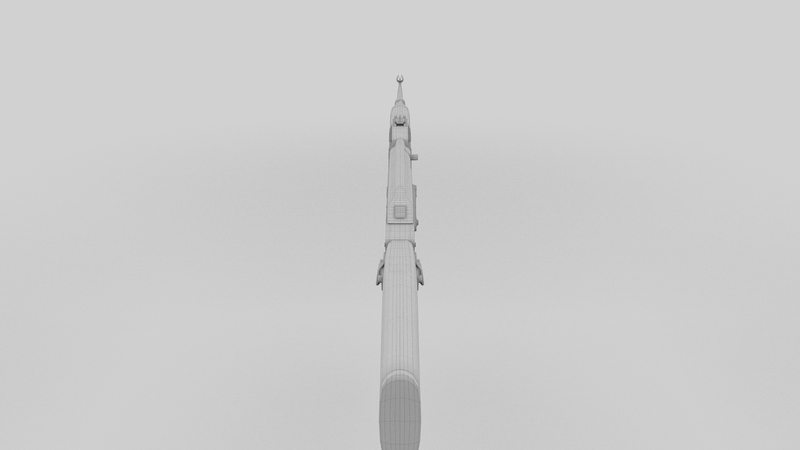 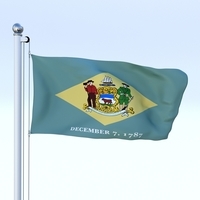 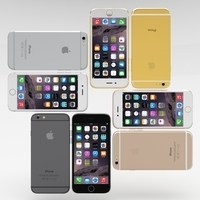 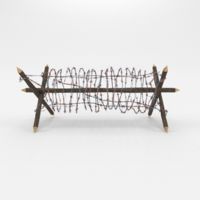 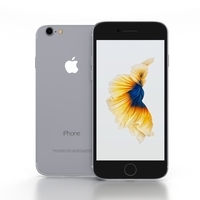 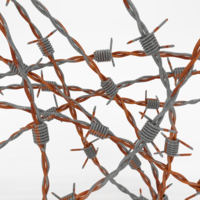 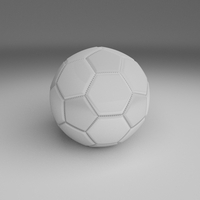 The model is built out of quads and is subdivisable. 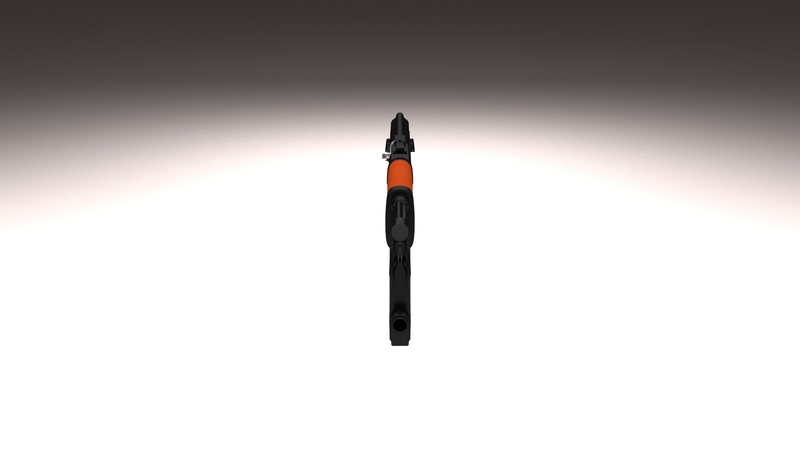 Different parts are separate for ease of handle.